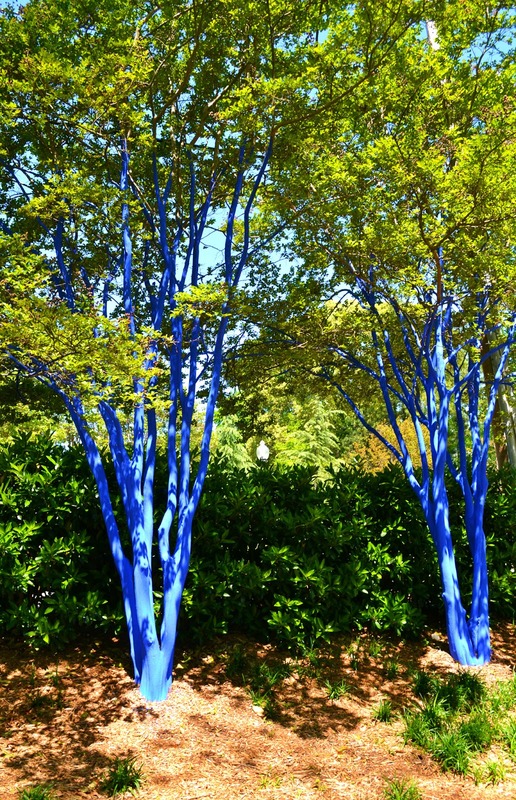 The Blue Trees is a performance and installation artwork by the artist, Konstantin Dimopoulos, that takes an urban landscape with which you are familiar, and changes it for a brief period of time, so that it becomes something unfamiliar, even uncomfortable by using a powerful colour transformation to provoke discussion about a very important issue, global deforestation. Every year the globe is deforested of some 13 million hectares of old forests, trees that sustain life on earth. Trees breathe for the planet and without them life cannot be sustained. The colour used on the trees is biologically safe pigmented water. 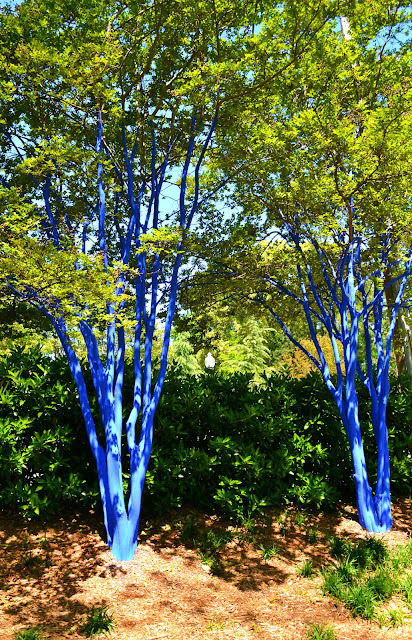 As an ephemeral artwork, the colour will naturally degrade and the trees gradually revert to their natural state. In nature colour is used both as a defensive mechanism, a means of protection, and as a mechanism to attract. 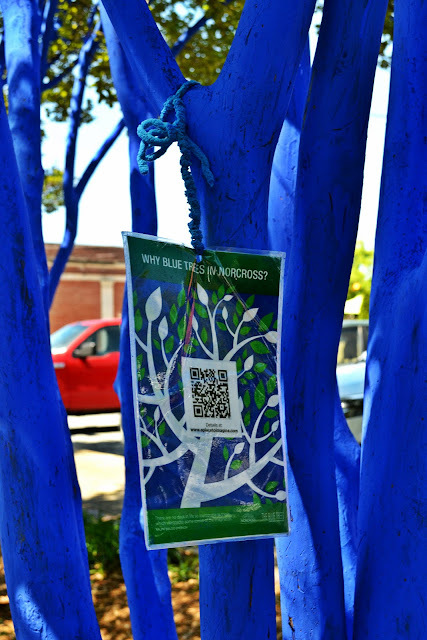 The Blue Trees attempts to waken a similar response from viewers. It is within this context that the blue denotes sacredness, something reverential. "As an artist I feel that trees are largely invisible in our daily lives, and it’s not until too late do we realise how important they are personally, aesthetically and environmentally. 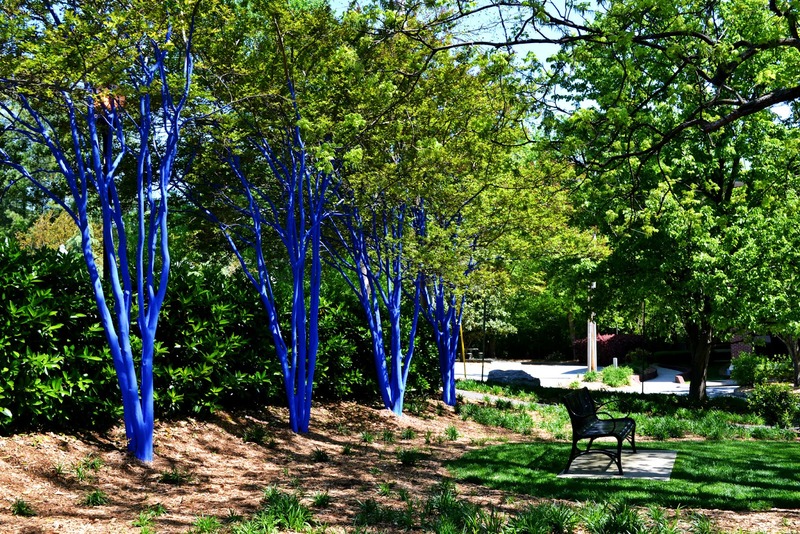 The object of this installation is to generate discussion about trees and the role that art plays in highlighting social and environmental issues. Colour is a powerful stimulant, a means of altering perception and defining space and time. The fact that blue is a colour that is not naturally identified with trees suggests to the viewer that something unusual, something out of the ordinary is happening. It becomes a magical transformation. In nature colour is used both as a defensive mechanism, a means of protection, and as a mechanism to attract. 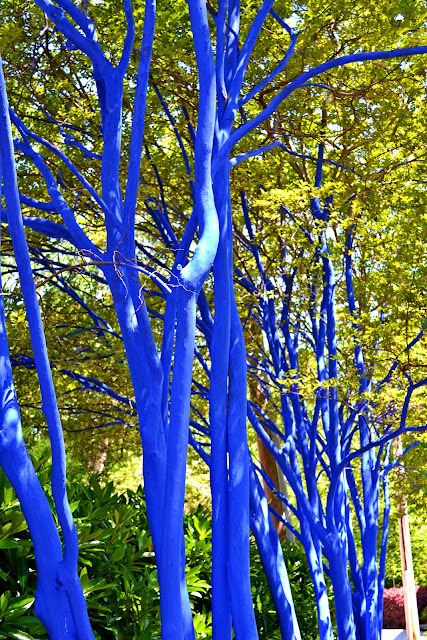 The Blue Trees attempts to waken a similar response from viewers. It is within this context that the blue denotes sacredness, something reverential."